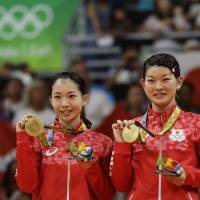 RIO DE JANEIRO - Misaki Matsutomo and Ayaka Takahashi claimed Japan’s first-ever Olympic badminton gold medal after beating Denmark’s Christinna Pedersen and Kamilla Rytter Juhl 2-1 in Thursday’s women’s doubles final at the Rio Games. World No. 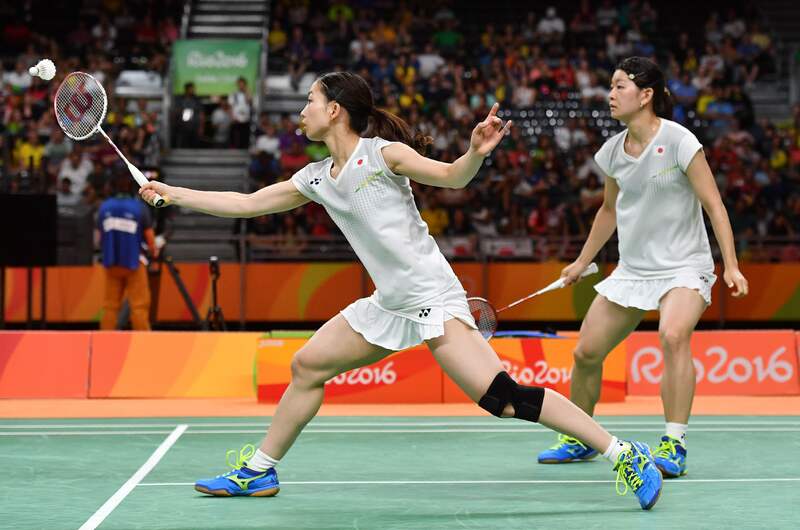 1-ranked pair Matsutomo and Takahashi dropped the opening game 18-21 before storming back to take the second 21-9 at Riocentro Pavilion 4, setting up a tense finale that saw the world No. 6 Danish pair move two points away from the gold medal at 19-16. But Matsutomo and Takahashi, who have played together since they were schoolmates 10 years ago, claimed the next five straight points to overtake their opponents and win the final game 21-19, sealing the victory when Pedersen dumped a shot into the net. 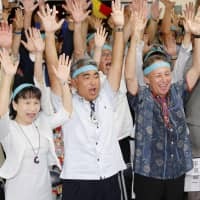 “For just a moment, I thought we were going to lose,” said the 26-year-old Takahashi, who helped Japan claim its 11th gold medal of the Rio Games after a trio of wrestling victories the previous day. 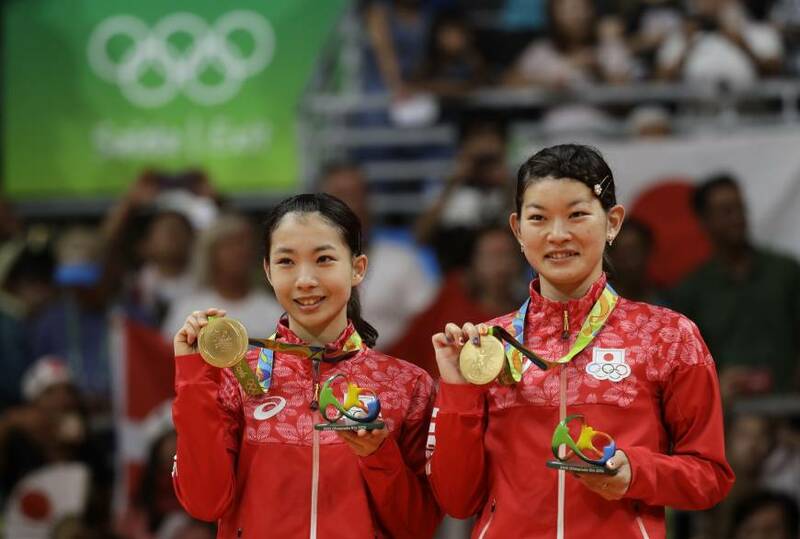 Matsutomo and Takahashi became the first pair from outside China to win the women’s Olympic doubles title since the 1992 Barcelona Games, giving Japan its second medal in the event after Mizuki Fujii and Reika Kakiiwa took silver in London four years ago. Matsutomo and Takahashi got off to a bad start when the Danish pair took the opening game 21-18, fending off one game point before Rytter Juhl sealed the deal with a ferocious smash. But the Japanese pair wasted no time in setting the record straight in the second game, blasting past the Danes in 17 minutes to set up a nail-biting finale. 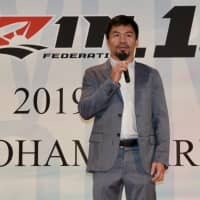 “The first game was really bad,” said Matsutomo. 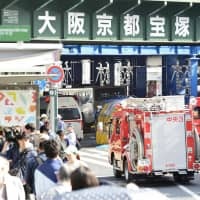 “We weren’t able to do anything. In the second game we were able to work out what our opponents were doing and how to beat them. Pedersen and Rytter Juhl edged ahead in the final game before a Matsutomo shot into the net put the Danes only 2 points away from victory at 19-16. But a series of smashed winners by the Japanese team brought the game level at 19-19, before Pedersen hit a shot wide and low to bring up match point and then hit the net to hand victory to Matsutomo and Takahashi. “We were not thinking that we had already won the final, but of course we had our chances,” said Pedersen. 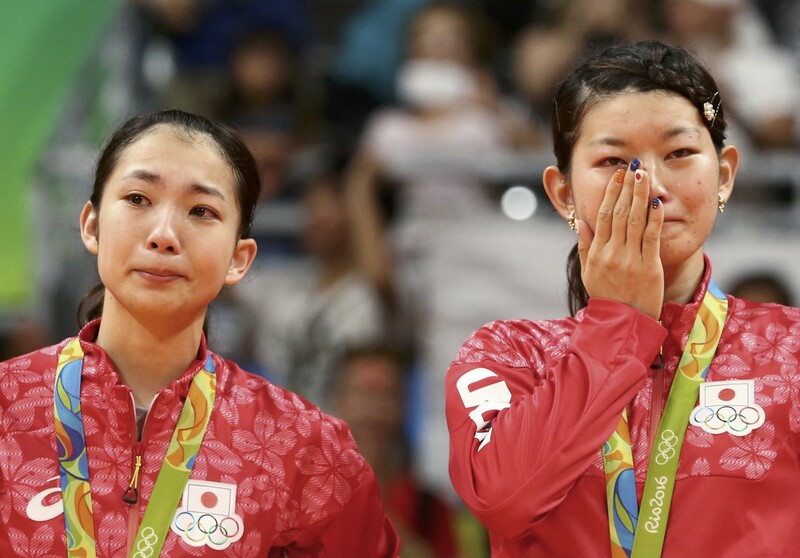 “The Japanese girls played really good from that point. My dream right now is to go back and play again from 19-16. Earlier in the day, Nozomi Okuhara’s bid for gold in the women’s singles competition ended when she lost 21-19, 21-10 to India’s V. Sindhu Pusarla in the semifinals. World No. 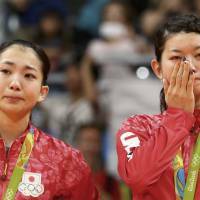 6 Okuhara will play London Olympic singles champion Li Xuerui of China — the current world No. 3 — for the bronze medal on Friday. “My opponent was very strong in the first game and that put pressure on me,” said the 21-year-old Okuhara. “I just couldn’t do anything. “She has really long arms so she often hit the shuttle in the opposite direction to what I was expecting, which made me lose my rhythm.